Kennelmus briefly rose from the mists of the Arizona desert; a strange musical mirage combining psych rock with surf and whatever else that the folks in this band wanted to. It's a shame that this is the only disc that Kennelmus recorded. Although they may have not been A-listers, it's clear that they put their all into this album and it's quite impressive. The band was led by Ken Walker, whose full first name provided the name of the band. Indeed he is the point man in terms of writing most of the songs and tackling the main melodic duties, but the rest of the band is pretty groovy too. The early part of the album is desert baked surf rock in great tracks like "I Don't Know" and "Patti's Dream." "Goodbye Pamela Ann" incorporates a strange homage/rip-off of the Beatles "Tomorrow Never Knows." "Think For Yourself," which is not a Beatles cover, adds in some strange vocals from Walker; it's probably better to pay more attention to the surrounding psych instrumentals "Black Sunshine" and "The Bug, The Goat, and the Hearse," which are much more entertaining. Then Walker sings completely through his nose on "Shapes Of Sheep," by far my least favorite track here. Near the end of the album we get a little more luck with the vocals. "Sylvan Shores" is a garage rocker with the backdrop of a desert sunset. 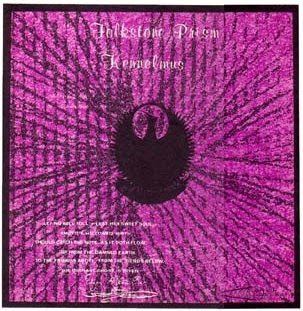 The disc closes with "The Raven," which is a psychedelic recitation of the Poe poem. At first I thought it seemed a little pretentious, but then it got stuck in my head for a day. It's not like the Alan Parson's Project tackling Poe. The album follows some kind of concept, although I can;t admit I'm hip to what it is. The tracks do link together on most tracks, so I guess you're supposed to take this one on as an 'experience.' Although there are definitely a few flaws and bum tracks, Folkstone Prism is still an enjoyably adventurous album and the joy of music making runs strong through its grooves. Let's just call it charmingly goofy. Standing pretty close to the edge of the ambient avant-garde, Oren Ambarchi displays his skills as a master sound painter on this album. He works primarily with electric guitars, but after the strange treatments, edits, and feedback orbs that make up this album, even Brian Eno would have trouble figuring out how a six-stringed instrument made these sounds. The album opens with the ten minute "Corkscrew." According to the liner notes, the very ambient track was made exclusively with guitar, but it's difficult to rationalize that with the overlapping, brain narcoticizing carrier tones that make up the track. It comes across as an even more primal version of Coil's drones on Time Machines, which I would not previously have imagined possible. On "Remedios the Beauty," which logs in as side C on my record, we get to hear a few more instruments as Ambarchi further extends his sonic world. There's a bit of percussion and bells added in, which serve to suggest abstract hints of world music and jazz. This is a very relaxing album, but I'd hesitate to label it new age as the sounds are likely to hold your mind hostage. I understand Mr. Ambarchi has a new album coming out next month. I'm looking forward to hearing it as the sounds here seem to lay out the groundwork needed to create a whole new sonic vocabulary. After all that Subotnick, I thought I'd throw a little more of my electronica your way. These recordings are actually my first serious attempts at electronic music, and I'm still very happy with them for the most part. They have a groovy dirty analog sound that I dig, and I've never been able to make music quite so Air-like (as in the French band) since I made this stuff. My only real qualms as the musician is that the sound quality is a touch dirtier than I'm typically happy with, and there are a few rhythmic inconsistencies since I was recording directly onto tape without anything but simple synth sequences to guide me. At least I can brag that there are absolutely no recording tricks here. Anyway, I hope you enjoy and please leave some comments! As always, other blogmasters are more than welcome to repost this; it puts a smile on my face. 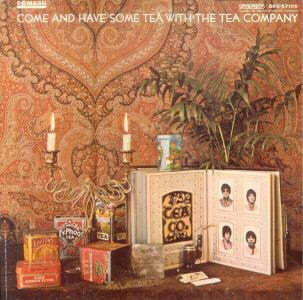 Since April 20th has become a silly, unofficial holiday for us Americans (420 is supposedly the police call number for marijuana) it seems like a fine day to take a look at The Tea Company's sole freak out of an album. Yes, they want you to come and have the kind of tea that you smoke with them. Fortunately, these guys managed to crank out a fine psychedelic album that sounds good even without those particular controlled substances. The Tea Company started out in New York City as the Naturals in 1963. I'd imagine that they went through several stylistic changes as this LP is pretty far out there. There's a base of Beatles-influenced pop in terms of the songwriting, but the real signature of this band lies in their wild delay and some extended instrumental space voyages which actually sound damn good. The first thing you'll notice looking at the track listing is that the band has done an eight-minute cover of "You Keep Me Hangin' On." They do a better job than Vanilla Fudge with the extended, ironic cover, but it turns out to be the least essential thing on the album. Then you rock scholars may notice "Don't Make Waves," but this is not a cover of the Byrds' outtake, but rather a minute and a half of gurgling sounds. So let's focus on the rest of the disc, which is very good. "Flowers" provides us with another long track at nine minutes, but they really hit the nail on the head with this one. The affair begins with a nice bit of hard-edge acid rock before blasting into a improvised hall of echoing sound that gives Pink Floyd's "Interstellar Overdrive" a run for it's money. There are four more conventionally structured tracks filling out the album, and they're all pretty swell. The open title track is especially awesome with the production building up into a wall-of-sound crescendo. The whole obscurity aside, I feel that the Tea Company should be in the running to be labeled as an American counterpoint to Barrett-era Floyd. "Love Could Make the World Go Round" and "Make Love Not War" are pretty up front with their flower power sentiments, but the smears of psychedelic sound keep it all from sounding too cliched. "As I Have Seen You Upon the Wall" even finds a place for a waltz and a bit of the same vocal delay that Gandalf used (they were both from around NYC; could be the same piece of equipment). The only points against this band other than their ill-informed Motown cover is the fact that their vocalist isn't quite as good as I would hope. He still sounds fine most of the time and any shortcomings often vaporize in the walls of delay. Psych fans are often on the prowl for artists that reach the heights of British psychedelia, and they're usually looking at other Brits. These Americans are often lost in the crowd, but really do make some sounds that the Pretty Things or Syd Barrett would have been envious of. Although the same set of sonic tools are at work on this album, the aural picture is very different. Bringing the sound down to earth, Subotnick focuses less on the seemingly random pings and bleeps that formed the backbone of "Silver Apples." Side A of "The Wild Bull" builds on roaring background oscillators, until the bull finally begins to rise. 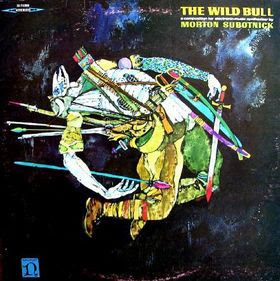 Here, we find Subotnick focusing more on melody as the bull gets a sort of melodic theme from a fuzzed-out oscillator. Side B sounds even more progressive with the bleating Buchla forming what could almost be mistaken for a modern IDM rhythm as the ominous, synthesized tones of the bullring wail in the background. The fight ensues as the bulls theme returns, violently rolling around with the rhythm, and finally the bullring returns with its own roar. It's amazing that such a colorful story could emanate from such a primitive machine. I suppose that's a big part of Subotnick's genius. "Silver Apples" is the electronic breakthrough, but "The Wild Bull" refines and even perfects the alien tones of the Buchla. It's a very listenable piece for what it is and is sure to take your mind on an interesting sonic journey. A true pioneer of electronic music, Morton Subotnick's work is usually not the easiest music to listen to, but if you're willing to give it your time and attention, it can be very rewarding. Subotnick is a classically trained composer who fearlessly pressed beyond the reaches of even the typical avant garde. Most typical concepts of melody and rhythm are thrown out the window as Subotnick works out his battles of music theory with the Buchla synthesizer. 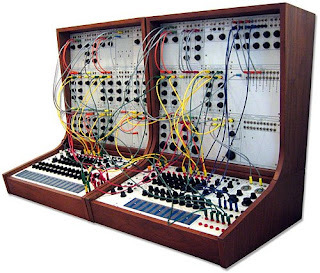 These early modular synthesizers have no conventional interface such as a keyboard, forcing the player to work with the different variables of analog oscillations and a strange series of touch pads. 'Otherworldly' probably isn't even enough to describe "Silver Apples Of The Moon," but the playfulness and sense of intelligence helps to reveal that the machine is not taking over and there is a man behind the curtain. 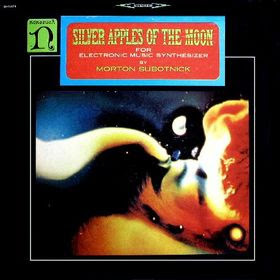 As a work debuting on vinyl in 1967, "Silver Apples Of The Moon" is split into two parts. Side A is constructed around softer pings and bleeps, a probe satellite orbit the mysterious moon and slowly gaining information. While side B is somewhat similar, especially with only the Buchla synthesizer at work, we've landed on the moon. Some of the playfulness turns a little more serious and the oscillations are a little more distorted as we're up to serious work now! Far from a pop record, "Silver Apples Of The Moon" requires that you invest your full time and attention. For those who make the effort, you'll find that a jovial spirit presides over this jungle of primitive electronic sound. It really is a landmark of electronic music and should get at least one play from anyone even slightly interested in that genre. Mandalas is an improvised early kraut rock freak out with plenty of sonic reference to Native American , Indian, and Tibetan culture. If that sentence sounds good to you, then it stands that you may very well enjoy this album. 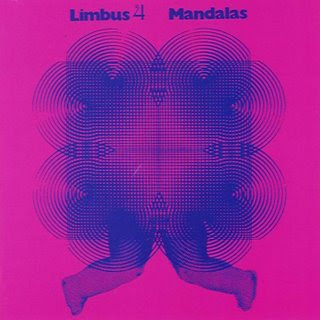 Unlike many of the other krautrockers of this time period, Limbus 4's focus is not on the electronics at all, but melding more acoustic percussive sounds with chant-like vocals, and organ. As disc like this need to be viewed not as songs, but as a series of soundscapes. "Dhyana" suggests to me a long climb up a tall mountain, flanked by strange birds, holy men chanting, and disintegrating sunlight, until we reach the villagers' festival at the top of the mountain. We'll take the title of "Plasma," and convert that into a meditational journey through the fires of the sun. It's very esoteric sounding as it morphs from one sound plateau into another (for instance a percussive battle fading into a wall of wooden flutes). Between those two pieces are the short plinking random percussion of "Heiku" and the practically ambient "Kundalini." I guess this stuff is similar to what Can referred to as ethneological forgeries. Here, it's even more free-form than even can, but it's an interesting little corner of krautrock that deserves your attention. 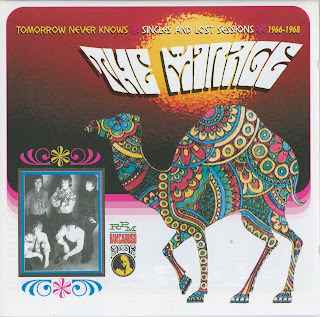 The Mirage existed right smack in the middle of the British pop-psych explosion. Plodding along with a series of pretty good singles, the group never released a proper album, although this disc does a great job of collecting most of their recorded material. Sound-wise, these guys seem to perfect fit the bill of a 'typical' pop-psych band. They rock pretty well when then need to, keep away from the more embarrassing, cloying side of period psychedelia, but rarely stand out. This music slides right down the middle path. The disc is named after their cover of the Beatles "Tomorrow Never Knows." It's a straightforward garage rocking version and would be pretty spectacular if we didn't have the Beatles far superior version to compare it to. Really, most of the compositions here resemble 1965 beat songs with some crunchy guitars and echoing production thrown in. Tracks like "Gone to Your Hear" and "I Want Love" fare pretty well with this method. "Hold On" rips off the "Taxman" bassline for the 6087th time to somewhat mediocre effect. "One More Time" has a truly bizzare mix with an volume-controlled guitar place far above everything else. You will need to give some special attention to the band's signature single, "The Wedding Of Ramona Blair." Later tracks like "Lonely Highway" and "Hello Enid" add it some Sgt. Pepper orchestration in a reasonably tasteful way. I guess the caveat with the Mirage is that they are always competent but never really surprise the listener. It's definitely something that the psych-pop connoisseur will want to hear, but not the disc you'd want to turn to when trying to convert someone into a fan of 60's psychedelia. Let me throw in a note about sound quality. Everything here is very listenable, and well-produced, but most of the song do sport a frustrating coating of sonic crust. I don't know if this is due to the engineering at the original sessions or a factor of age, but you'll have to slightly adjust your ears for this one. Larry Heard may be better known as Mr. Fingers, one of the 1980's pioneers of Chicago house. By the 90's, he'd began branching out sounds on records released under his real name. This one is extremely chilled out, with Heard focusing on very cosmic sounds and relegating the beat to a supporting position. The album is somewhat like what Tangerine Dream was doing on their better 80's albums, although infused with a huge dose of house and acid jazz sensibilities. Let me try and put this one right out on the table. Larry Heard's sonic constructions and the flow of his music is amazing. On this album he really managed to create what feels like aural journeys through stardust. On the other hand, Mr. Heard does not have the best taste in hardware. I imagine that we're hearing the top of the line synth technology of 1996, but that's not really the most interesting collection of synths in my opinion. Also, some of the lead keyboard parts are sometimes a little cheesy, but usually in that non-offensive lounge sort of way. For the worst offender, go straight to "Flight of the Comet." Or we could focus on the fact that the first 23 minutes of the album are extremely good. "Faint Object Detection" starts off with crystal clear sequences, "The Dance Of Planet X" takes us into orbit, and finally we face the unknown with the bubbling sounds and percussive lattices of "Micro Gravity." It's all very 'cool' music. Maybe the Alien of the album's title is cruising along the interstellar spaceways in his convertible rocket with the top down. "Galactic Travels Suite" is a fine ambient piece, presenting us with shimmering balls of elctric sound before a popping bass line finally grounds us. "Two Journeys" offers lots of interesting noises, with the first half taking place in an ambient jungle, while the second half skitters down an asphalt lane late at night. The album is completely instrumental until the closing "The Beauty of Celeste." There's a bit of a space age Gil Scott Heron ranting on the top that doesn't quite break up the flow of the album, but I still could have done without. 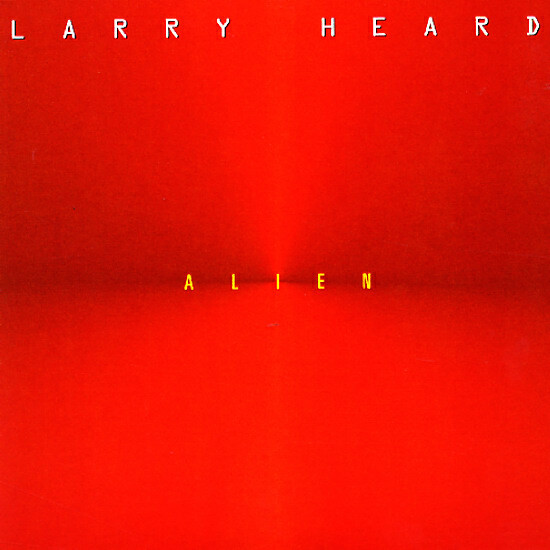 This is still a great late night album for those of you who hope to travel with the jazzy sounds of Larry Heard's digital alien. I'm a relatively avid Doors fan, but I only recently discovered the existence of their keyboard man's 1974 solo album. As you may guess, there are plenty of the groovin' organ sounds that you might expect, along with Manzarek's not completely embarrassing attempts to create a Morrison-like vocal croon. With some studio pros like drummer Tony Williams and bassist Jerry Scheff along for the ride, we get some quality playing here that pushes the sound into jazzier territory than we typically heard with the Doors. We'll start with noting the centerpiece of the album, "The Purpose Of Existence Is?" Starting with a whispy organ solo, we end up right smack in a L.A. Woman-style sleeze bar groove, complete with the philosophical lyrics. Not that this is a carbon copy of the Doors. The musicians here swing way more than the Doors ever did, and Manzarek's vocals add an inviting playfulness that never appeared on a Morrison recording. Really, the first half of the album comes across a whole lot better than you might expect. "He Can't Come Today" is a cool Latin-tinged rocker where Manzarek's singing doesn't sound completely assured, but the band certainly does. 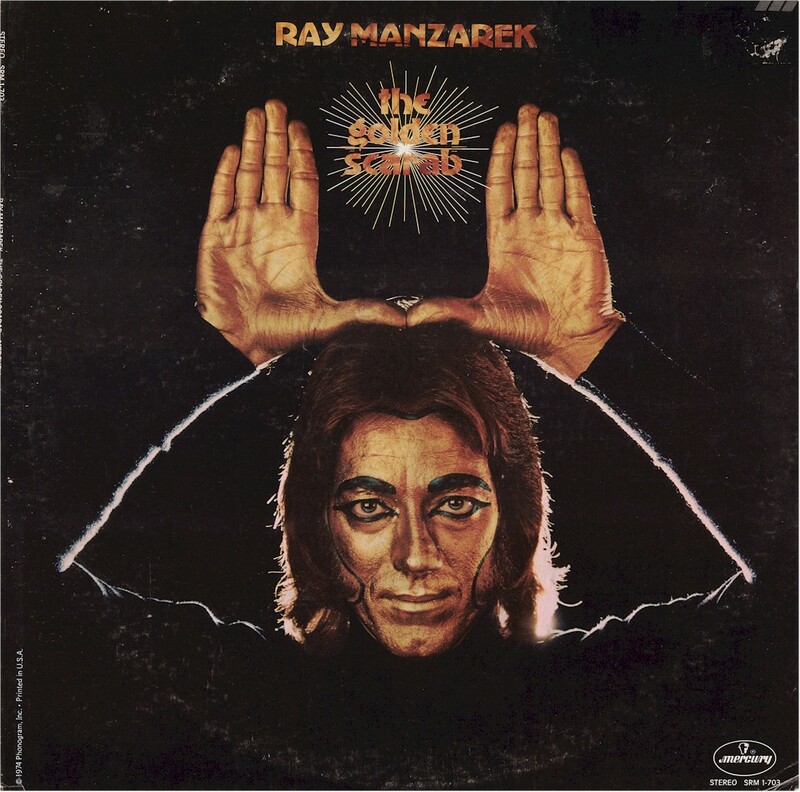 There's also the fine title track, which is a funky tune where Manzarek spews forth a bunch of Egyptian mythology, and that manages to amuse me pretty well. Coming far out of left field is the instrumental "The Moorish Idol." It's sort of like a slab of 50's style exotica shot through latin jazz-rock and a piercing synthesizer. I guess that makes it sort of a fusion piece, which makes perfect sense with Tony Williams being around. Anyhow, it's a nice change of pace that nicely spices up the album. The Golden Scarab is fortunately more than a curiosity piece. Manzarek manages to both acknowledge his past with the Doors and press on in a few new directions. It's too bad that this (along with a second solo album) seems to have been more of a false start than a proper solo career.